The Chirio Clink is an admirable example of a parachute pattern. Rib : Fine pearl mylar and fine clear mono. Para Wing : White poly yarn. 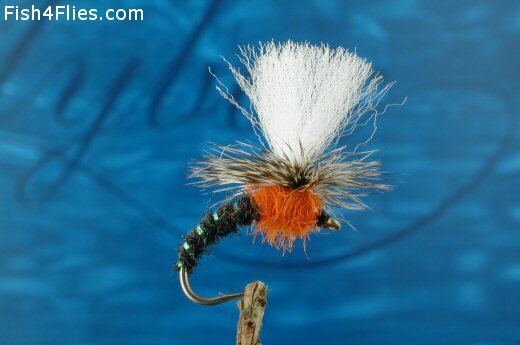 Currently there are no comments about the Chirio Clink fly pattern from other fly fishermen yet.